Welcome to The Density Repair Kit (DRK), the most sophisticated density adjustment, analysis and repair tool available for the embroiderer! • Removes hidden stitches from within a design so that it will sew thinner, cleaner, and with less thread (and needle) breakage. • De-Clumps design areas. These are areas that are over-sewn repeatedly with the same color. • Filters small stitches from your designs that would otherwise create thread build-ups and jam the machine. 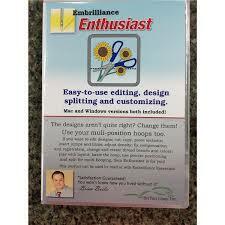 • Reduce the density in designs that were shrunk to fit a hoop. • Increase the density of designs for better coverage. • View the density of designs to see how they’ll sew before expending time and thread on a trial. 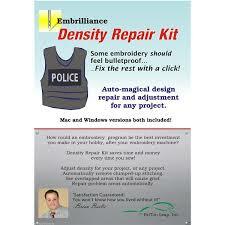 • Limits the density of your designs based on the fabric and thread that you are using. 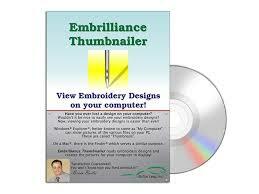 • Informs you of how best to embroider the project or fabric that you are working on. It recommends stabilization, hooping technique, needle type and size, and thread weight to help your project succeed. • Saves you time and money. Reduced stitch counts save enormous amounts of time and thread usage. Proper density adjustments allow projects to complete successfully. With DRK, project time and thread savings of 15%-30% are common! • Runs with or without Essentials, because it’s so cool, everyone ought to have it! 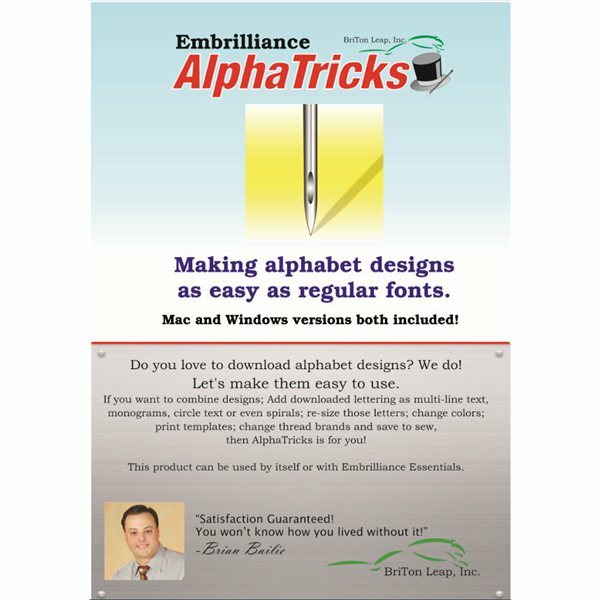 • Like all our products running in the Embrilliance Platform, you get OSX and Windows versions. Your license lets you run it on as many computers as you own — even mix and match Mac and Windows. No dongle required. No limits to the number of installs. 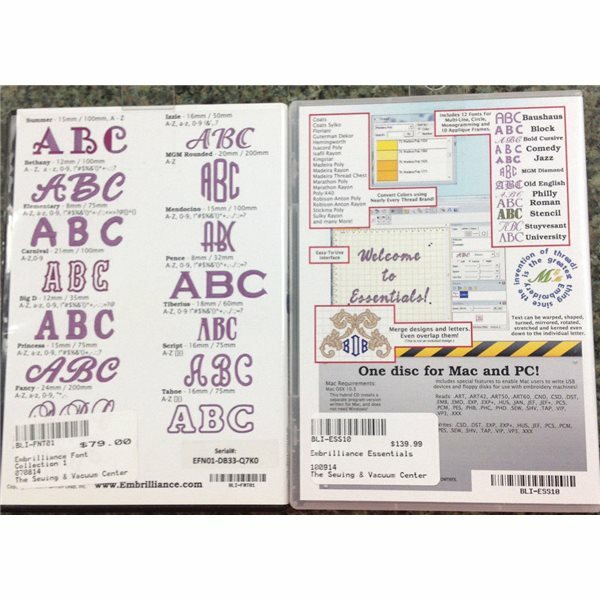 And as you add products, just add the serial number to the program, and all the features are there in one program, easy to use.